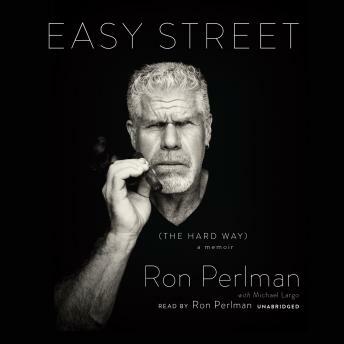 A classically trained actor who cut his teeth in the East Village’s off-Broadway scene, Ron Perlman—a Golden Globe winner with starring roles in the Hellboy movies, Drive, Pacific Rim, and Sons of Anarchy—has traveled an offbeat path to showbiz success. His story involves rising from New York’s tough Washington Heights neighborhood, enduring incredible hardships, and ignoring the naysayers who taunted him for his distinctive looks. It’s a tale that demonstrates the power of persistence. With a filmography of nearly two hundred credits working alongside countless stars during his forty-year career, Perlman knows the ins and outs of filmmaking. In Easy Street (the Hard Way), he shares his inspiring story for the next generation of performers.